Travel back to Middle-earth with your Eaglemoss collection! 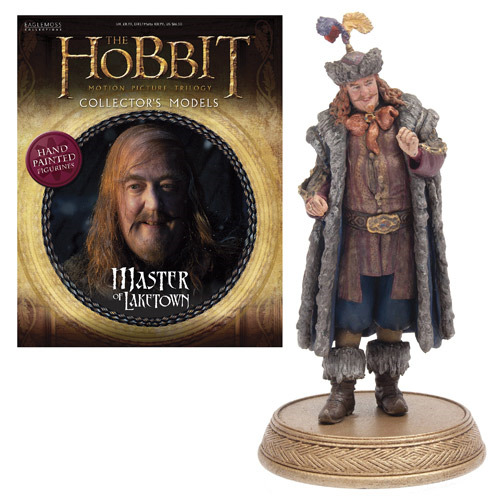 The Hobbit Master of Laketown Figure with Collector Magazine is #8 in the line. The master of Laketown is rendered meticulously in 1:25 scale and stands about 3 3/4-inches tall. The master of Laketown comes with a 12-page companion guide that explores all detail about character, complete with a character profile, and key moments that have defined the character. Shown in a classic pose, the master statue is cast in metallic resin and hand-painted. Ages 14 and up.